In May 2014, Jean-Baptiste Adam and his family celebrated the 400th anniversary of their family being grape growers and winemakers in Ammerschwihr, Alsace, France. The winery owns 17 hectares (42 acres) and farms another 4 hectares (10 acres) of vineyards, all farmed biodynamically. The grapes from the vineyards they farm go into the les Natures and Le Grands Vins selections. Their vineyards are well established as biodynamic, including the famed Grand Cru, Kaefferkopf. This vineyard sits on a steep slope just south of Ammerschwihr. From Kaefferkopf grapes, Adam makes a revered wine of elegance, balance and minerality with excellent aging potential. At 38 years of age, the 1976 was still drinking beautifully at the 400th anniversary. Adam’s finest wines come from the Kaefferkopf vineyard. Grapes are hand harvested. Fermentations are all from naturally occurring yeast. In an effort to maintain the purity of the fruit in his wines, Jean-Baptiste discards the first and last parts of pressing the grapes, retaining only the juice from the cour (heart) of the pressing. This blend must consist of a minimum of 50% Riesling, Muscat and/or Gewurztraminer, the rest made up of Sylvaner, Chasselas and/or Pinot Blanc. Before blending, each grape variety must be vinified separately and must officially qualify as AOC Alsace wine. 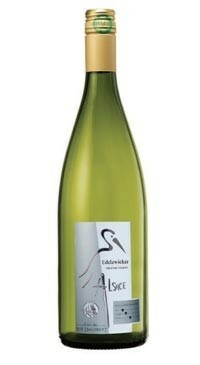 Edelzwicker is simple and easy to drink, a combination of fruit and freshness in the mouth. Light-bodied, it has minimal ageing potential and is best served with simple dishes such as salads and charcuterie.